Natural variability is a characteristic of climate. It occurs on both long and short time scales. Seasonal fluctuations can be great—we experience droughts, floods, severe storms, and tropical cyclones. It has long been recognized that these variations in climate directly affect the growth, health, and survival of pastures, crops, and livestock. Farming operations testify to this with sowing, harvesting, lambing, calving, and shearing timed to maximize the best of seasonal conditions. What is now receiving greater attention is that climate sets the parameters for sustainable land use. A large part of reducing risk in agriculture and protecting natural resources from degradation is being aware of the climate record and seasonal fluctuations and forecasts so that production can be set at appropriate levels and land can be used to its capabilities. 3. Building resilience: strengthening farming systems through diversification, risk management strategies, and off-farm income. Advances in climate research and satellite and computer technology have improved the potential of farmers to prepare and adjust farming operations in a variable climate. For this potential to be realized, the complexities of the decision-making process in agricultural systems must be acknowledged and addressed. Adult learning processes must assume a higher profile to overcome the limitations of the dominant technology transfer model. Property management planning (PMP) or whole-farm planning is an important tool for farmers because it attempts to integrate all the factors that drive rural life. It incorporates elements of physical planning, financial management, and the personal dimensions of life. Whole-farm planning encourages the farm management unit (family or company) to consider all these elements in formulating a vision for their life and their land. When the vision is articulated, it can be further refined into a series of achievable goals, because each element is analyzed for feasibility. To take just one segment of the farming jigsaw, physical property planning encourages the stakeholders to use aerial photographs and overlays as an aid to identifying the natural resources (soils, water, vegetation, land classifications, and climate), infrastructure (fences, buildings, etc. ), and enterprise characteristics of their farm. Problem areas or constraints are identified and a SWOT analysis is undertaken (identify strengths, weaknesses, opportunities, and threats) for each of these features. The property planning process has been promoted by governments because it encourages farmers to take the long-term view and, by learning the capabilities of their land, to prevent environmental degradation of their natural resources and insulate themselves against the variability inherent in the climates of the earth. In terms of climate, PMP examines factors such as rainfall, slope, and groundcover interactions, aspect, damaging winds and shelter, frost effects on pasture and crop growth, as well as the risks involved with extreme events of flood or prolonged drought. Rainfall is the dominant factor in property planning because of its links with pasture and crop growth. A common planning theme is "using water where it falls." Simpson (1999) noted that runoff will vary from 2 percent to 12 percent of total rain, depending on soil type, topography, groundcover, and rainfall pattern. He made the point that runoff is that portion of annual rainfall that does not grow grass. The aspect of the land interacts with rainfall, wind, and solar influences. It has a major effect on the length of the growing season and pasture maturation. Aspect will also determine what species will survive and thrive (Simpson, 1999). Drought has the potential to drastically reduce the productivity and longevity of introduced pasture. Well-managed native pastures show a natural resilience to climatic variations and are especially suited to particular land classes (Simpson, 1999). Farm advisers are now advocating that farm managers encourage a diversity of species, with special attention to native pastures, to take advantage of their ability to cope with climate features and, for some species, give high annual production. Crop yields improve on the leeward side of shelterbelts due to improved microclimate and less physical wind damage to plants. The overall impact of a windbreak is shown in Figure 10.1. These effects of windbreaks and shelterbelts have been demonstrated to increase wheat yields in Victoria by up to 30 percent and oat yields by up to 40 percent. 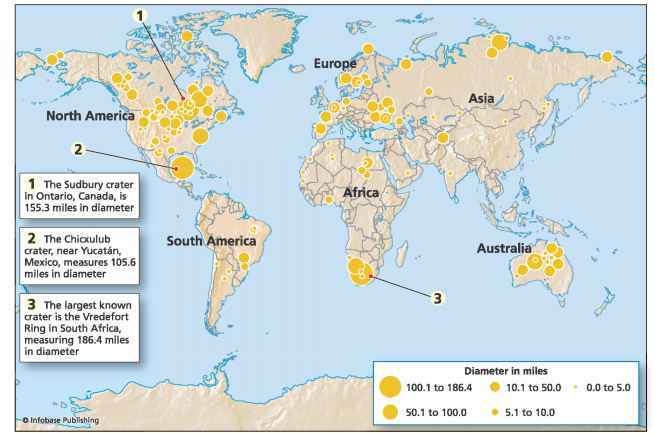 Increased moisture availability, particularly during grain filling, was considered to be the dominant effect (Burke, 1991). In the Esperance district of Western Australia, lupin crop yield increases of 27 percent between rows of trees made these windbreaks a profitable investment in terms of the crop yields alone. Other long-term benefits expected from the trees are timber products of posts, poles, and sawlogs (Burke, 1991). The benefits of shelter for livestock have been demonstrated in numerous trials. For example, one Australian study from the New England Tablelands of NSW showed that cold stress can depress sheep liveweight gain by 6 kg and can depress wool growth by 25 percent (Lynch and Donnelly, 1980). In southern Victoria it has been calculated that the provision of shelter can increase milk production in dairy herds by 30 percent. Ten percent of this is due to greater efficiency of conversion of feed and 20 percent is due to the greater amount of feed available (Fitzgerald, 1994). Shade and shelter provide protection for livestock from the effects of heat stress. A Queensland study (Davidson et al., 1988) showed that the provision of shade for dairy cows increased milk production for each cow by 2 kg per day, combined with an improvement in milk composition. A CSIRO (Jones, 2000) study in the Hunter Valley of NSW found that dairy cows without shelter produced 3 percent less milk than those with access to shelter. This loss represents 230 liters of milk per cow each year for a high-producing herd. An understanding of the direction of the most damaging winds should also be incorporated into the design of farm infrastructure, such as the siting of sheds. • degree of flexibility in choosing rotations and enterprises (Tow and Schultz, 1991). Grazing is the favored form of agricultural production for both low- and high-rainfall areas (although at vastly different intensities). This is because broadacre cereal cropping faces the risk of failure due to inadequate rainfall in semiarid environments and the risk of disease and operational interference because of too much rain in high-rainfall areas. Figures 10.2 and 10.3 provide examples of two contrasting regions in the cereal zone of Australia, their enterprise mix, and common rotations. 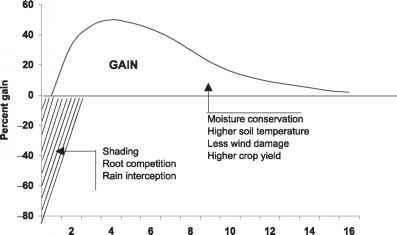 Assessing the characteristics of temperature and rainfall for a location is not only useful for choosing the most appropriate enterprise(s) but is also important when choosing the most productive plant cultivars. For example, a Western Australian viticulturist, Erland Happ, recognized that temperatures during the ripening period have a major influence on grape flavor (personal communication). He explored this further while investigating the purchase of another property. Happ believes that knowing the temperature range over the ripening period is critical in selecting grape varieties to plant and in choosing sites to grow grapes to maximize flavor. Before deciding on a property, he obtained hourly temperatures for an entire growing period. Happ calculated an index of "heat," in excess of 22 degrees, and compared this to other Australian and international sites known for their capacity to produce ultrapremium wines. This information enabled him to choose the most appropriate grape varieties for particular sites, based on temperature. This has led to the purchase of a second property which has particular advantages for early varieties. Production levels should be based on an understanding of the local climate record, especially median rainfall and its distribution. Market prices and the calendar alone should not govern production. Available soil moisture and expected seasonal conditions and forecasts should also drive it.